After the US managed to avert a default, world financial headlines shifted from “US government shutdown” and “debt ceiling” to another term – “quantitative easing”. RT explains what QE means and why everyday people should care about the Fed's decision. On October 30, the US Federal Reserve will make its first monetary policy decision since the government shutdown was averted and the final budget decision was postponed until December. After a 16-day partial government shutdown and a batch of tepid economic data, no one expects the Federal Reserve to reduce its stimulus when it meets on Wednesday. Many analysts now predict it will maintain the pace of its bond purchases into next year, AP reported. Many blame the uncertainty surrounding Congress' budget fight and renewed questions regarding the health of the US economy. After its September meeting, the Fed proved it can still surprise markets, when it unexpectedly decided to keep on $85 billion worth of bonds. What will happen this time around? We’ll see. While US financial policymakers continue to mull over the best solution, RT Business spoke to Natalia Orlova, a chief economist from Alfa-Bank, and Chris Weafer, a senior partner at Macro Advisory, a Moscow-based consulting firm to find out what the mysterious “QE” term means on both a global and individual level. 1. What does quantitative easing mean? What is it primarily aimed at? The so-called policy of "easy money" introduced in the US in 2008 after the financial crisis broke out means simple dollar printing, aimed at filling the gaps in the country’s financial system. An estimated $3.6 trillion has been printed in the last 5 years, and the money was mostly used to buy debt instruments and junk financial instruments from the market to provide the financial system with enough cheap cash. “In theory, businesses, investors and consumers should be able to access cheaper credit with which to invest or purchase,” Weafer explained. 2. Can it help the real economy, or does it just feed financial markets? Theory says it should, while practice shows little success has been achieved. Easier access to credits should provide for better economic activity and again theoretically “such an increase in activity by both investors and consumers will help pull the economy out of the slump and boost growth. Once growth has been re-established, the idea is to then withdraw the quantitative easing program as there should be enough momentum in the economy to then continue growing without the Central Bank’s help,” Weafer added. But Igor Nikolaev, director of the strategic analysis department at PKF, told RT that all the latest economic fundamentals show that massive financial injections have so far failed to provide fruit for the real economy. GDP growth remains modest , unemployment is still far above the normal level of 5.5 percent - at 7.2 percent in September - and inflation is running well below the Fed’s two percent target. 3. How much scope is there for extending monetary stimulus? Is there any limitation on the amount of dollars the US can print? 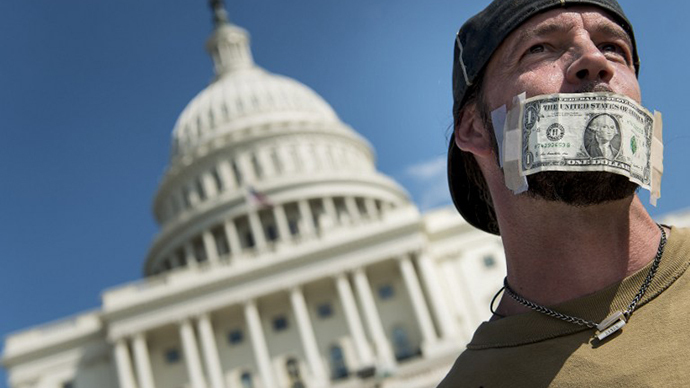 “There is no technical limit to the amount of money the US can print,” Weafer said. While quantitative easing creates uncertainty and unpredictability in economies, the US will most likely keep switching on its printing press until it becomes sure the economic fundamentals like GDP, unemployment and inflation become sustainable. “On the other hand, an abundant supply of cheap money in the wake of weak economic growth creates risks of new financial bubbles, mainly in real estate and financial markets,” Orlova added. 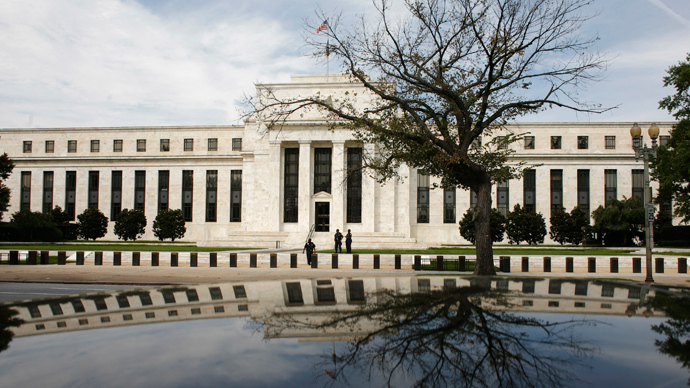 Acting timely is crucial for the success of quantitative easing in the US. “It is a fine balancing act for the Fed and one that the chairman, Ben Bernanke, has been warning off; keeping the program in place too long may undermine confidence and prevent normal market mechanisms from returning. Taking it off too soon may result in a reversal of the fragile recovery seen to date and risk recession. 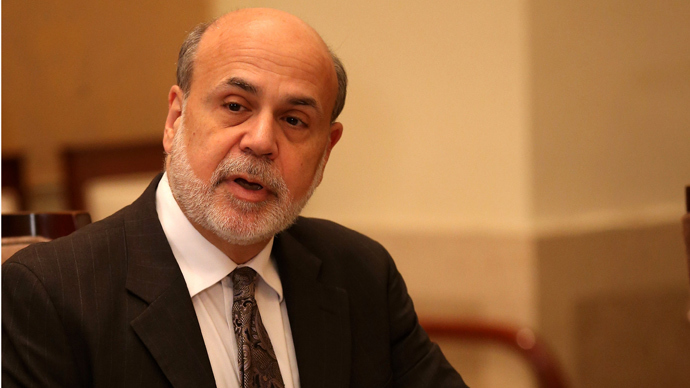 Bernanke has reminded us many times that this is what happened in the 1930s and led to a quick return to recession and a collapse in the equity market,” Weafer explained. 4. Has any round of the quantitative easing program reached the goals set? Experts agree that certain progress has been achieved, though it may not be sustainable. “The US has been growing at one to two percent in recent years, while the government sharply cut the budget deficit - from 10 percent of GDP in 2010 to four percent this year,” Orlova said. However, “we will not know for sure if the QE measures have worked until they are withdrawn and we then see if the major economies, especially in the US, can sustain and expand the growth trend,” Weafer said. “This is why the Fed and the US government are so nervous about the timing of the easing of the QE program. Neither is very sure as to how strong the underlying economy is. Most likely, the Fed will ease back very, very slowly when it starts the so-called tapering program, just in case,” Weafer concluded. 5. What effects can quantitative easing - its failure or success - have on everyday people? "Easy money" in the US has helped keep interest rates low, which means everyday people pay low amounts for their debts, Orlova said. “The objective of the QE program is to reboot growth in the economy. That means a return to sustainable growth and job creation. That benefits all of the people if successful,” Weafer said.